How will you feel on debut day as new coach of a team at the bottom of a 20-team log? That’s a question many won’t like to be faced with, but Fatai Osho is the man who makes his debut on a day that will remain remarkable since opting for a career in the dug-out. Osho’s appointment confirms Remo Stars’ tradition of keeping faith with inexperienced managers at the top flight. It is a return to the club he left three years ago and a pointer he has an unfinished business with ‘The Sky Blue Stars’. Former head coach, Nduka Ugbade lasted five match days at the club and his replacement, Daniel Ogunmodede, was in charge for only two match days. The duo got their top flight debut at Remo. Incidentally, the managerial casualty at Remo Stars throws up Osho as third man coach in less than two months. A record for the young club! It makes his appointment a gamble, but a chance for him to show he has the qualities to work in the top flight. 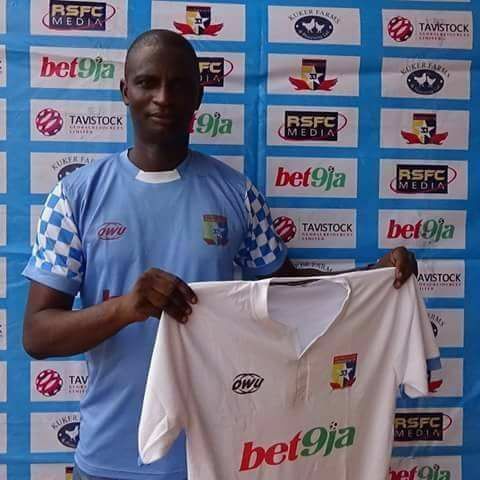 There is nothing wrong with an inexperienced man in the dug-out after all, ABS gaffer, Henry Makinwa, is new in the NPFL and making heads turn at the Ilorin side. Truth be told, Osho has waited for the chance to coach in the top flight and this was an offer he couldn’t resist. 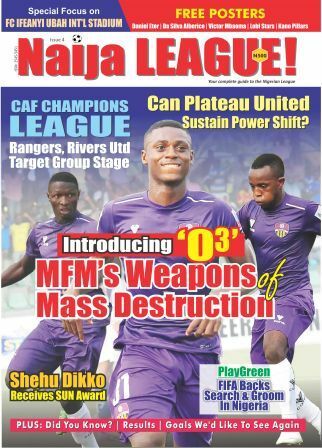 The up-and-coming gaffer has a fascinating coaching background with a good CV in the Cup race, but is he the right man to keep the ‘Sky Blue Stars’ in the NPFL? Despite his inexperience at this level, Osho is described “as one of the best coaches in Nigeria” by Tunde Shamsudeen, Coordinator and Organiser of Nigeria’s biggest pre-season tournament, the Gold Cup. “Osho’s style is different from other coaches in Nigeria. He has a way of bringing the winning mentality to players. “I am confident Osho will start well against Lobi Stars on his debut. He has been at Remo before, so he knows the players from his previous stint with the club. Osho's coaching CV includes spells with clubs in the second tier, the Nigeria National League. It’s actually his second spell with Remo Stars and was the club’s first coach after their change-of-name from FC Dender. Crown, Supreme Court and Kogi United are clubs he has also managed in the NNL. Last term, he accounted for the giant-killing feat of Crown in the Cup race after defeating eventual league champions, Rangers and Wikki Tourists. In fact, he was close to a record final appearance with Crown, but for their inconclusive semi-final match with top flight side, FC Ifeanyi Ubah, which was later awarded to the Nnewi side. It all adds up to a massive task for such an inexperienced manager. Osho inherits a dysfunctional side which has lost six points at home following defeats to Plateau United and Niger Tornadoes, respectively. In fact, Remo has lost the most games in the NPFL.